KDManage’s Search tool enables users to search for various entries across the different data sets. 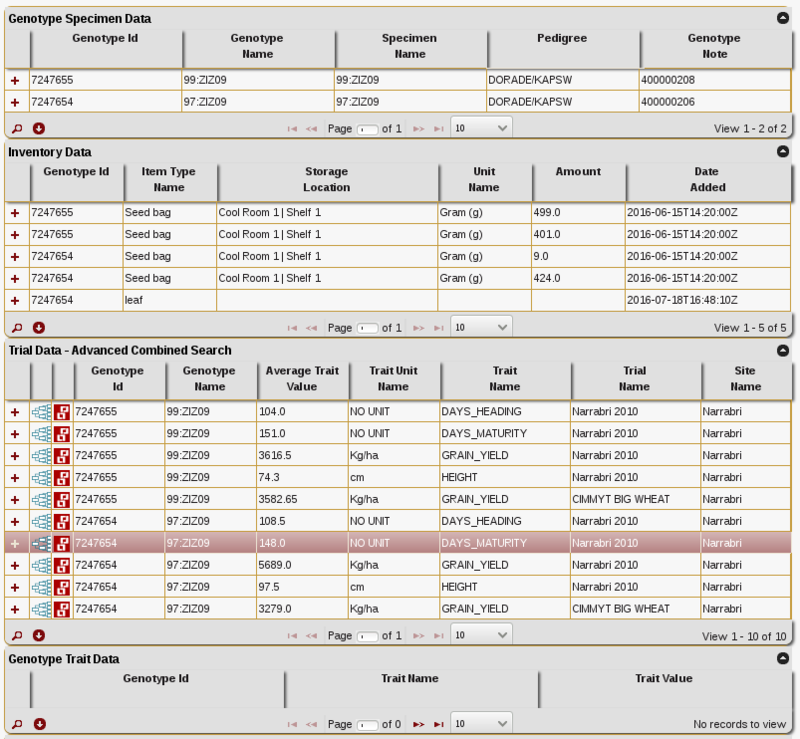 A typical search table for Trial data is displayed below. To filter the search results, select the button to display filter options as illustrated below. Search results can be downloaded to a CSV by selecting the button. Note: CSV results are limited to 50,000 entries. Search can be performed using a single CSV column. This tool replicates the standard search tool except results are filtered to match a column from a uploaded CSV file. An example CSV file is shown below. Note: Column names must match the column names of data tables. To perform this type of search upload a correctly formatted CSV file and select the data table and column to search. For expanded results a search can be performed across all data tables. The results table has the same functionality as the Standard Search tool. In the example above note, at the bottom of the results, the empty table “Genotype Trait Data” where no records were found to match entries in the CSV file.